Major campaign raises over $60 million! The mandate of the OSM Foundation is to guarantee the long-term success of the Orchestre symphonique de Montréal by providing it with the means of fulfilling a vision that will ensure its full development. 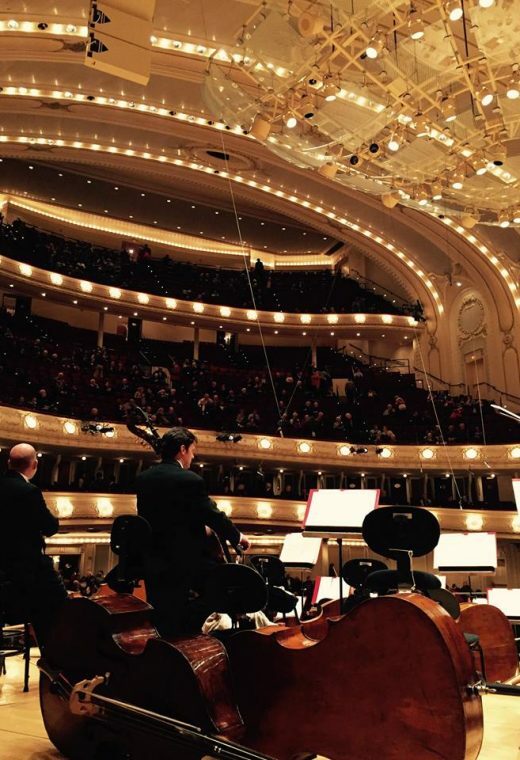 The Foundation focuses on three main areas: the long-term success of the Orchestra, its international recognition, as well as the maintenance and development of activities in the community. Under the presidency of Madame Hélène Desmarais, the OSM Foundation was publicly launched on April 2, 2009, at the Bell Centre on the occasion of a benefit event entitled “Meeting of the Century.” That memorable concert, which took place under the direction of Maestro Kent Nagano before an audience of 15,000, was also conceived to underscore the 75th anniversary of the OSM and the centenary of the Montreal Canadiens hockey club. The goal of the first phase of the major fundraising campaign was to capitalize in perpetuity $60 million in donations in the OSM Foundation – a goal that was achieved! The Pierre-Béique Fund, dedicated to the long-lasting success of the Orchestra, was launched on March 8, 1998, at a concert under the direction of Zubin Mehta. Established by Messrs. Pierre Brunet and Paul Desmarais and Senator E. Leo Kolber, the fund was named in honor of the man who served as general manager of the OSM from 1937 to 1970. The amounts invested in this fund are capitalized in perpetuity and protected from inflation. Every year, the foundation pays the Orchestra 3.5% of the average market value of the investments of the previous two years. Those amounts are devoted to the international reach of the Orchestre symphonique de Montréal, not only by financing its tours but also by enabling the OSM to invite, every year, the world’s most renowned soloists and conductors. Among other things, these sums have contributed to helping the OSM perform as part of prestigious festivals in New York and Edinburgh (2011) and on two European tours (2009 and 2014). 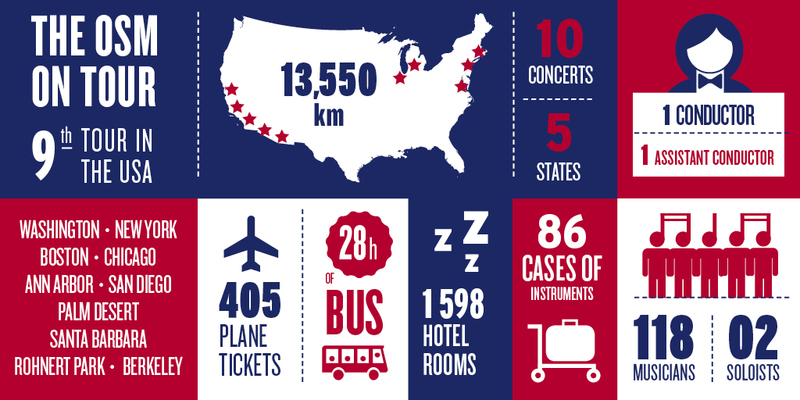 The 2016 US Tour by the Orchestre symphonique de Montréal under Maestro Nagano was the most recent of many such tours made possible through the support of the Fondation de l’OSM. Running from March 14 to March 26, it was the orchestra’s largest tour of the US since 1989. The tour was a huge success for the OSM, confirming its status as one of the major orchestras of North America and a representative of Montreal’s cultural vitality. For more information, please see the Fondation de l’OSM 2015-2016 Activities Report. Created in 2008, the capitalized outreach fund “Branché sur la communauté” has as its goal the holding of annual activities aimed at making the classical orchestral repertoire accessible to the broader Montreal community. As soon as sufficient investment income from this capital became available, free concerts were presented: one in Montreal North (2014), and another on the Olympic Park Esplanade (2015). The Virée classique OSM Couche-Tard has become a hugely popular attraction on the calendar of summer events in Montreal. For the first time during the grand classical music marathon, free outdoor activities were organized on the Parterre of the Quartier des spectacles. The “Branché sur la communauté” fund contributed financially to this outdoor feature, and scores of families, including many from economically and socially vulnerable sectors, were invited to take part. The Fondation de l’OSM wishes to acknowledge the outstanding contribution of the late Mr. Pierre Brunet to the organisation.